Alnwick Round Table "Come and Try Charity Shoot"
Come along and try out clay pigeon shooting with the comfort of and experienced coach next to you. This is an event in it's third year, which allows people to come and try out the sport in a safe environment, at a cost much cheaper than a standard lesson, whilst supporting a local charity. We are running this again at Bywell Shooting Ground, one of the North East's leading Clay Pigeon Shooting Ground. Onsite they have a shop, gun room, cafe and toilets. Perfect if you take a liking to the sport and want to price up getting into it! 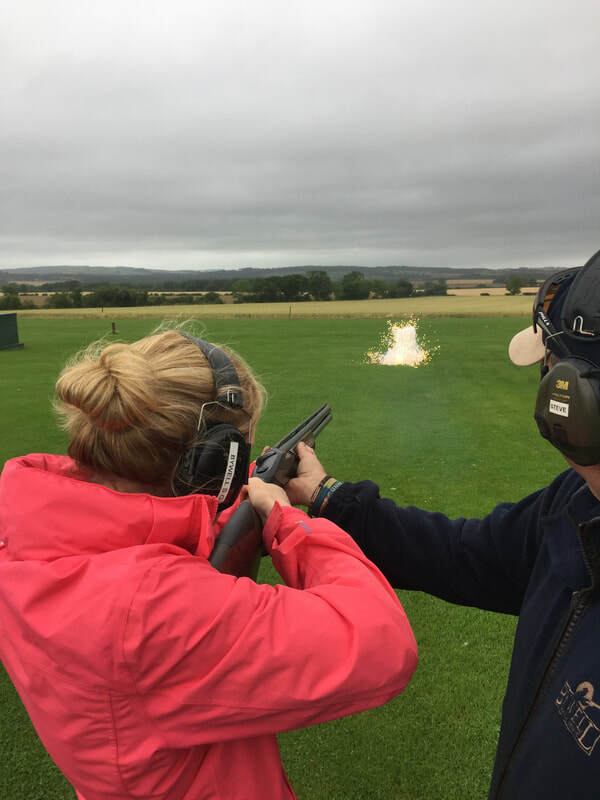 For those who are experienced with a shotgun and shotgun certificate, Bywell will likely be running their open practice on the day, so you can get some practice whilst your friends / family have a go at the sport! Book a group of up to 4 people together, so bring your friends along to have a bit of healthy competition. Each entry is for one person to shoot, so if you want to be with your friends, make sure you book the same slot. The day isn't about winning or losing, it's about having fun and trying something new! Bring your mum, your brother or your gran, but best to leave the dog at home! There won't be a first place, or a last place, all we want you to do is enjoy the day and try something new! All entries must be as per the allowed time slots, which you can buy from our website, each ticket purchased allows one entry only. The entrance ticket you buy online includes all safety equipment, 15 clay pigeon targets and 15 shots with a suitably sized shotgun (recommended by the instructor) with a professional coach to support. Please arrive 15 minute before you are due to shoot and report the the Alnwick Round Table members who will be onsite at the day. We will drop a few flashing clay pigeons into the traps on the day, which will mean you can win a prize if you hit one and it explodes! This year we will be giving away tickets to The Alnwick Beer Festival 2018, The Alnwick Round Table Fireworks 2018 and some Duck Race Tickets for 2019's Duck Race! This is an entry ticket to The Alnwick Round Table Come and Try Shoot at Bywell Shooting Ground on Saturday 21st July. There will be 4 people within the group including this entry, if you don't buy all four for this slot, entries may be mixed. This entry is a ticket for one person for 15 clays. You must be over 12 years old to enter. Please bring a print out of your order on the day as confirmation of entry. Even Grandad's can come along!